The Pickle Branch Shelter is a typical example of the U.S. Forest Service's plank sided lean-to. 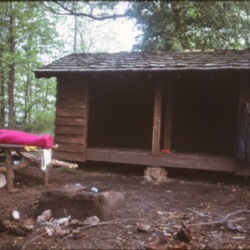 This shelter was built in 1980 by volunteers from the Roanoke Appalachian Trail Club and U.S. Forest Service staff. It is currently maintained by the Roanoke Appalachian Trail Club. 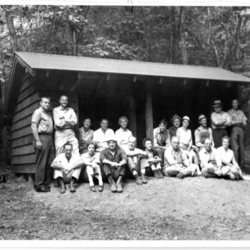 Volunteers and officials of the U.S. Forest Service at the dedication of the Niday Place AT Shelter on August 26, 1962. The Niday Place Shelter is a typical example of the plank sided lean-to favored by the U.S. Forest Service. 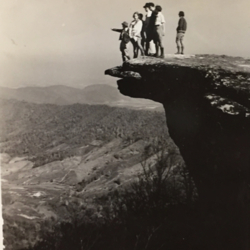 It is located in the Jefferson National Forest in Virginia, south of Roanoke, and is maintained by the Roanoke Appalachian Trail Club. 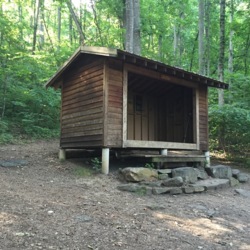 The Johns Spring Shelter, formerly known as the Boy Scout Shelter, was built in 2003 by the Roanoke Appalachian Trail Club as a replacement for the older Boy Scout Shelter. 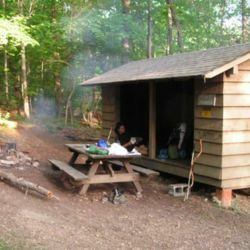 John's Spring Shelter is a memorial to John Haranzo, an avid AT hiker and RATC member. 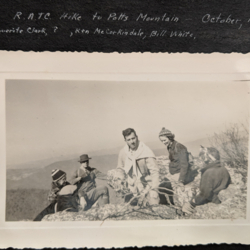 The Catawba Mountain Shelter was built by volunteers from the Roanoke Appalachian Trail Club in the summer and fall of 1984. 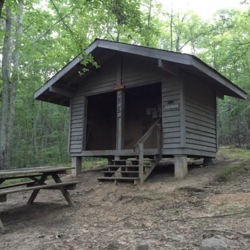 This shelter was added to the chain of shelters after the relocation of the Appalachian Trail from North Mountain to Catawba Mountain, adding McAfee Knob to the Trail's route. This shelter is built in a style that is reminiscent of the typical plank sided lean-to favored by the U.S. Forest Service, but has unique features in its design, including the peaked roof and more open front. It is maintained by the Roanoke Appalachian Trail Club. 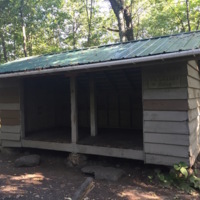 Built by the Roanoke Appalachian Trail Club in 1965, the Fulhardt Knob Shelter is the last on the Appalachian Trail to use a cistern system for capturing and supplying water to hikers. According to the RATC, "This shelter is also notorious because it has been the on-again-off-again home for an otherwise homeless woman named Peggy who believes herself to be the deposed queen of England. She is, at times, belligerent and she leaves a lot of trash behind; but she does not appear to be dangerous."